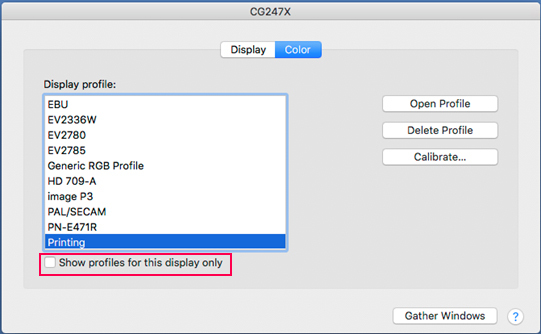 We found the problem that ColorNavigator 6 / NX cannot apply the profile to the OS correctly in macOS High Sierra (10.13). Sometimes the correct color is not displayed so for users using High Sierra, please implement the following countermeasures. After logging in, perform the following steps each time. 1. Open [System preferences] in the Apple menu. * In multi-monitor environment, open the [Color ] tab in the window of ColorEdge .